Dhaka, 4 October, Abnews: We live in a fast-paced society where most of us are constantly pushing ourselves to the limits. Its impact on our health is compounded by bad diet and a sedentary lifestyle. Lack of time and high-stress levels inevitably also result in poor lifestyle choices. That is why a host of lifestyle diseases like hypertension, heart disease, stroke, obesity and diabetes are growing at an alarming pace. In fact, diabetes is now one of the fastest growing diseases in the country. Diabetes is a result of excess sugar (glucose) in our bloodstream. Sugar is essential for the body as it provides energy and fuel to the cells. This process is facilitated by the pancreas, which secretes a hormone, insulin that helps cells absorb sugar from the blood. Type 1 diabetes, usually found in young people, is when the Pancreas malfunctions and doesn’t produce sufficient insulin. However, if the pancreas functions but the body’s ability to respond to insulin is impaired we get the more common Type 2 diabetes. The three major aggravating factors for Type 2 Diabetes are an inactive and sedentary life, high-stress levels and a poor diet. And yoga can help us with at least the first two. Any physical activity is good for diabetics. However, yoga is a form of movement accessible to all, across age groups and demographics. It is a wholesome practice which works on the entire body, exploring all possible body movements and its pace can be varied basis individual capacity. Given that there’s literally no equipment required, it can be practised anywhere – while travelling, in a hotel room or at our desk. Traditional forms of yoga are especially beneficial for the elderly as there’s minimum risk of wear and tear since there are no aggressive movements. Any stress, whether public speaking, deadlines or tough boss, is interpreted by the body as a threat and it prepares to respond accordingly. It raises blood pressure and heart rate to pump blood to the muscles, breathing becomes rapid to oxygenate the blood faster and glucose is released into the blood to energize the muscles. While all of this is happening, we are likely just sitting on a chair and the body cannot metabolize that sugar because we are not really running away from any danger. And when we stay stressed continuously for long periods, the body eventually succumbs to diseases like hypertension or diabetes. Particularly for Type 2 Diabetics, stress almost always makes their blood sugar go up. One of the fundamental differentiators of yoga from other exercise programs is the focus on breathing. When we breathe mindfully through yoga asanas, we activate the relaxation response of our nervous system. Movement and breathing are beautifully put together in yoga, improving mind-body awareness and infusing a sense of calmness and balance within us. Pranayama should also be an integral part of our life. Focused breathing techniques such as deep abdominal breathing activate the relaxation response of our nervous system. Increasing the length of our exhalation has a further cooling effect. There’s growing scientific evidence that pranayama techniques are effective in controlling this stress response as well as turning it off. More focused breathing techniques also have a direct influence on our endocrine system making it more efficient in regulating the hormones. And all of this helps with Diabetes because it improves the efficiency of our body systems, which are constantly overworked and stressed out. – Always start with a gentle yoga practice and gradually build capacity for advanced asanas. Yoga is about improving our awareness levels, becoming stronger and calmer – it takes time. 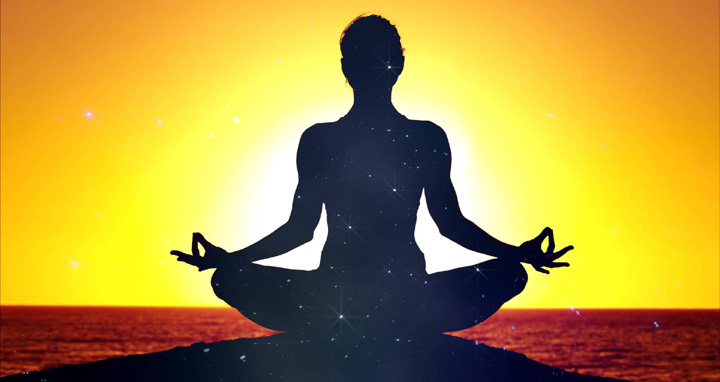 – Pranayama techniques are very important for stress and diabetes management. Simple methods of yogic breathing like deep abdominal breath or sama-vritti pranayama (equal breathing) are sufficient to include in daily practice. Never practice forceful breath retention without guidance from an experienced teacher. In the long run, improper breath retention can be more damaging than beneficial. – Diabetic patients should be careful when it comes to inversions like Headstand (Shirshasana), Shoulderstand (Sarvangasana) etc. These can increase pressure in the head and can worsen conditions like glaucoma. – Do not skip the restful postures like Shavasana as that’s when the body truly integrates all the work done in a yoga class. At least 10% of the time spent doing Asanas should be used for Shavasana. – Progressive relaxation techniques like Yoga Nidra (Yogic Sleep) should also be made a part of the yoga routine. These should be practised at least once a week, if not more. Finally, we must also remember that no amount of yoga practice can undo the damage of poor dietary habits. Yoga and a healthy diet go hand in hand. Avoid processed and packaged foods and instead choose more fresh and whole foods with a good quantity of fruits and vegetables. Yoga practices are an excellent addition to overall Diabetes management as they improve our general well-being, reduce stress levels and promote self-healing. It’s really just about three simple things – eat well, move every day and enjoy life! The writer is a wellness guide and a yoga instructor.